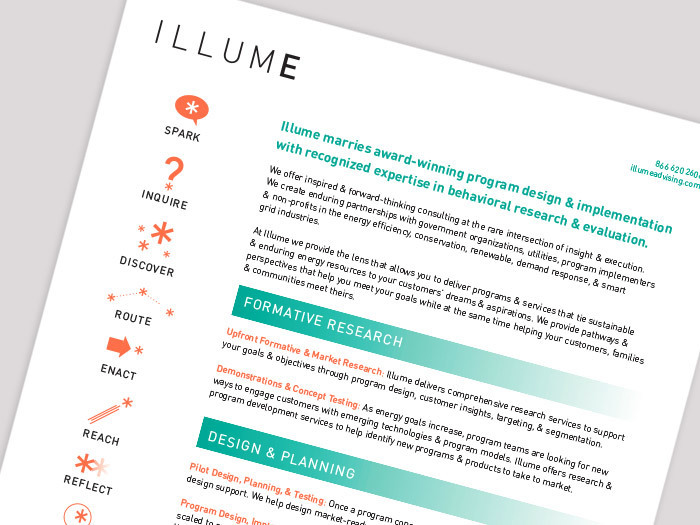 Illume is a start-up boutique energy consultancy firm that marries award-winning program design and implementation with recognized expertise in behavioral research and evaluation. 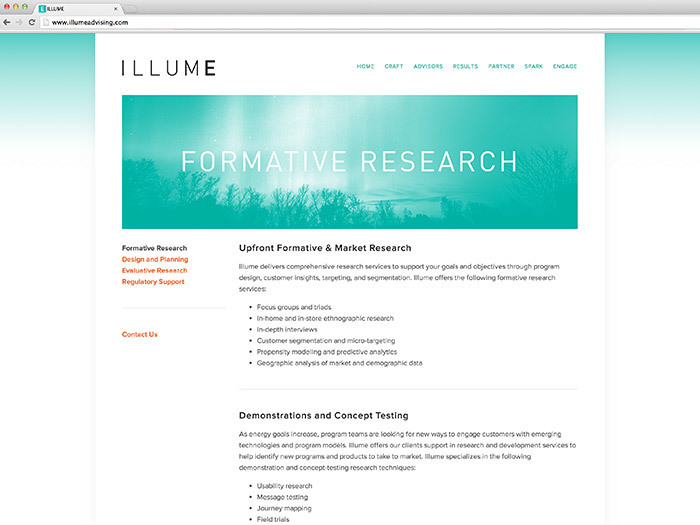 Vixjo Design, Inc. was so excited to work with founding advisors Sara Van de Grift and Anne Dougherty to develop the branding and website for their visionary new company. Founding advisors Sara Van de Grift and Anne Dougherty hired Vixjo Design, Inc. to develop a brand that felt fresh, contemporary, and light, while still portraying themselves as strong, established, and experienced leaders in the industry. 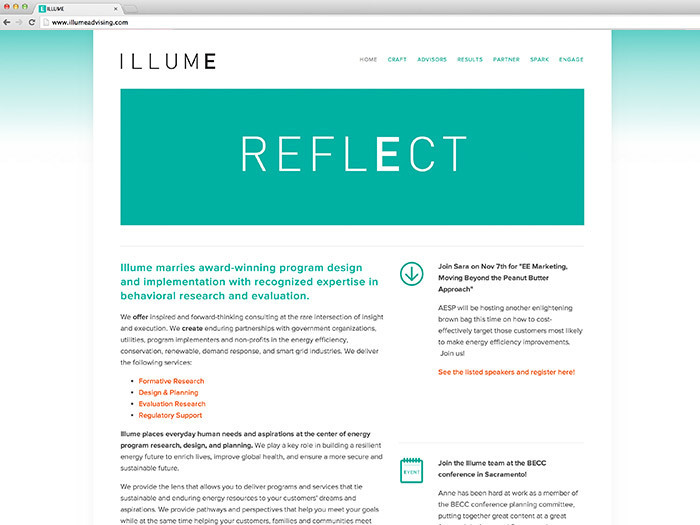 The resulting identity uses light typography with a weighted "E" to emphasize their focus on Energy. 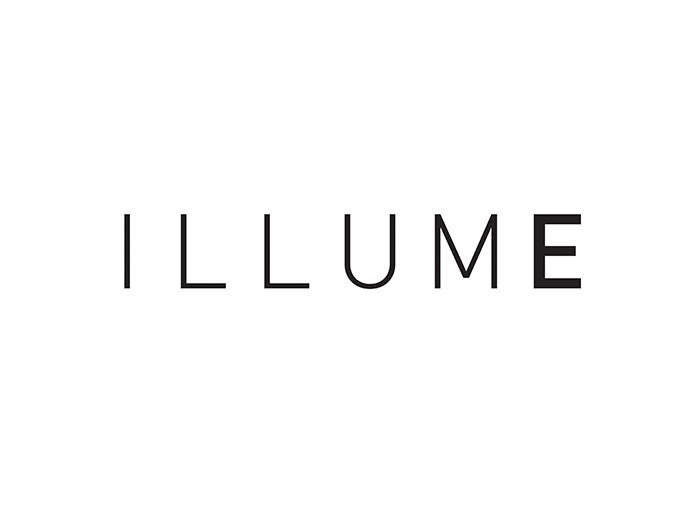 Three logo variations include solid black, solid brand green, and a third which features an outer glow, as if illuminated from behind. 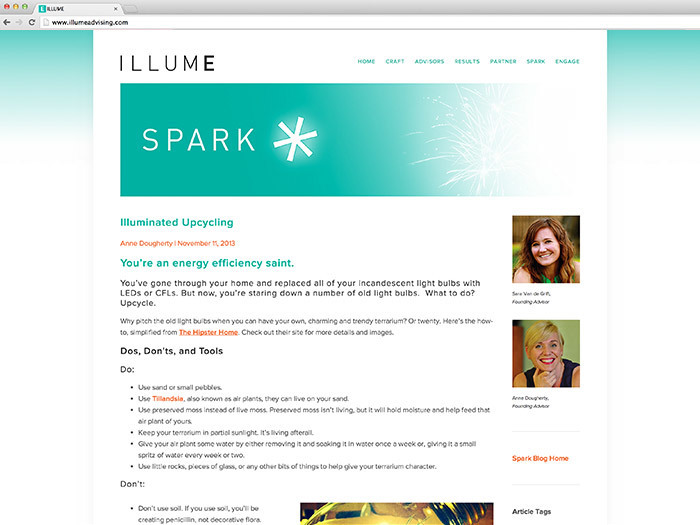 We also designed custom brand icons which are used throughout their communications materials. 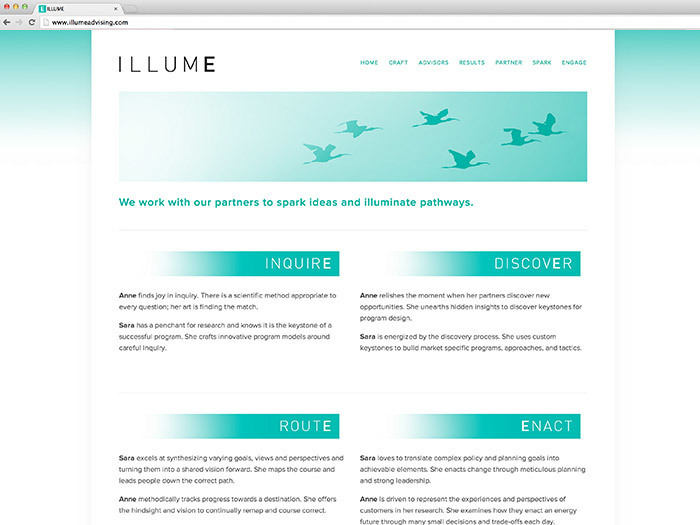 We designed a website for ILLUME that we built on the squarespace platform, making it easy for the small company to manage their content independently. 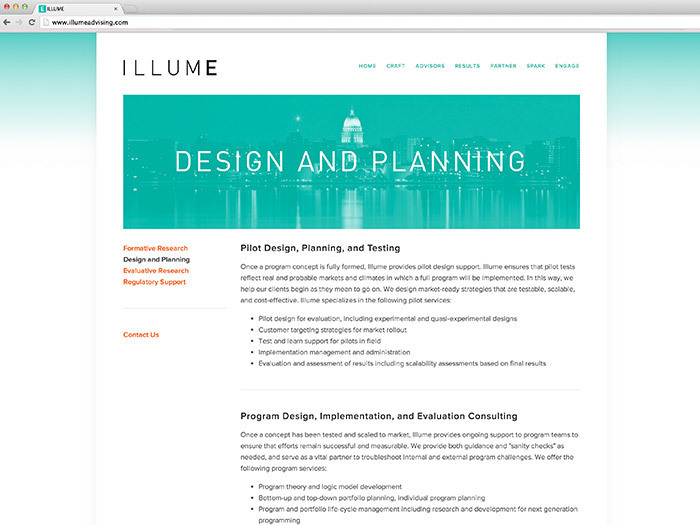 Illume actively maintains a blog on their new website. This promotional card, with custom-designed and branded QR code, leads recipients directly to a blog post in which they are given step-by-step instructions on how to create a terrarium using the out-dated incandescent bulbs they've since replaced with more energy-efficient LEDs.